This study reports on why there is a shortage of Oncologists in the US and Dr. Thomas Lodi shares his thoughts on this. 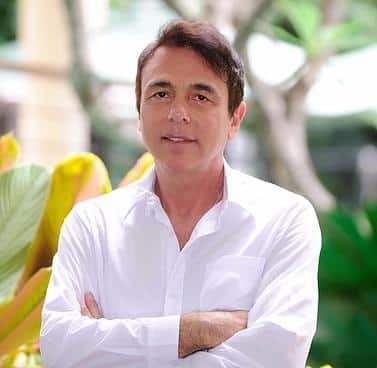 Dr. Lodi recently wrote a blog post on his website and we felt it needed to be shared with our audience at An Oasis of Healing. The entire medical healthcare system needs to be flipped. In today’s society is almost feels like “health” is unattainable and this is false. The healthcare system needs to be focused on health and not disease management. This study on a shortage of oncologists featured on the ASCO Post website is interesting but not as interesting as a study would be if it was designed to find out why cancer is increasing at such alarming rates. If cancer increasing at alarming rates could be understood then we might just eliminate those reasons and send all of our brightest minds to organic agriculture schools and naturopathic colleges or TCM or Ayurvedic programs to become practitioners of health rather than “disease”. “Disease” is a myth that has been propagated upon the population for over 100 years now and serves as the principle upon which the medical model is based. We are born in hospitals (childbirth = “disease”) and begin receiving pharmaceutical concoctions on day 1. We are then scheduled to follow up with physicians (pediatricians) at regular intervals. 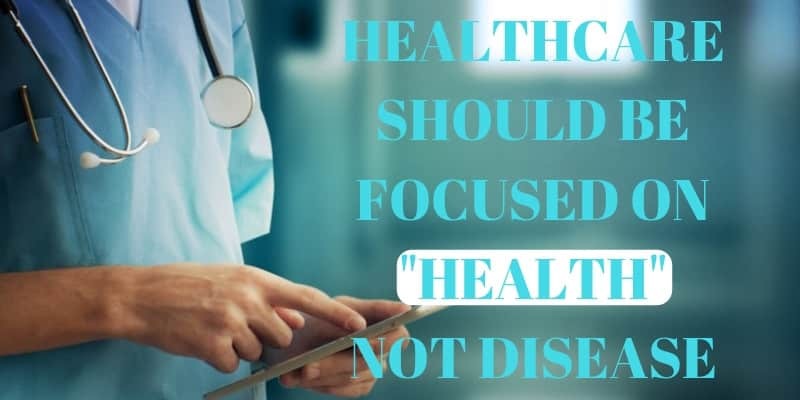 Parents, educators, legislators and those campaigning for public office (especially president), make it one of their primary concerns/promises to ensure that everyone has “disease insurance”, which is euphemistically referred to as ‘health insurance’. We seek medical insurance because we are planning on becoming ill. One of the greatest lies ever perpetrated upon the human race is that ‘health is impossible and disease is inevitable’. By the time we sit at our desks in 1st grade, we will have had > 28 vaccinations, antibiotics, decongestants, cough suppressants, anti-nausea, and diarrhea/constipation medications if we are relatively “healthy”. And now begins the process of ‘good citizen’ programming. Unfortunately, those children who resist being placed in unnatural situations and follow their instincts to play and explore the world around them receive a diagnosis that requires more mediation that will subdue them and allow them to be chemically fit to attend school. Some children might be put on these drugs before they ever reach first grade since symptoms of ADHD very typically begin to appear between the ages of 3 and 6 years of life. By the time a child reaches puberty, they are veteran medication consumers and everybody has a doctor. In fact, if you don’t have a doctor people consider you strange and cavalier or frivolous and irresponsible. The lives of the modern “civilized” human being are centered around being sick. As a person progresses through life, they acquire more and more diagnoses, which are merely justifications for prescribing drugs (poisons). Let us consider for a moment why we become so ill since clearly we were not fitted by nature to become dysfunctional early in life. Well, the root of all this is that humans do not think they are part of nature so they have built artificial environments in which to live and produce and eat “food” that is also artificial rather than natural. The problem is that we are part of nature and are subject to her laws hence our bodies adapt and these adaptations are called “diseases”. Cancer is the adaptation at its finest. These cells have adapted to a situation where their fundamental modality of producing energy in order to function has been damaged significantly requiring them to produce energy in a very primitive manner. These cells actually are reduced to fermenting sugar in order to survive….much like microorganisms. And, the medical model says that this adaptation is a “disease”, a horrible “disease” that must be eliminated at all costs. Therefore a war ensues between the “general”(doctor), the “soldiers” (nurses and technicians) and the adaptive fermenting cells (“cancer”). This horrific battle takes place on the body of the unfortunate person who has already been poisoned from the day of conception. We now have two generations of mothers and fathers who were also victims of this tragic drama called modern civilization, based upon the medical model. Most people die from the “treatment”, not the adaptive response of the body….not the cancer or the heart attack or the stroke. Let us not train more oncologists, let us make sure that they are no longer necessary. This is the URL to original article here that prompted Dr. Thomas Lodi’s response in this article.